Join us for our monthly Pickle Pie project! 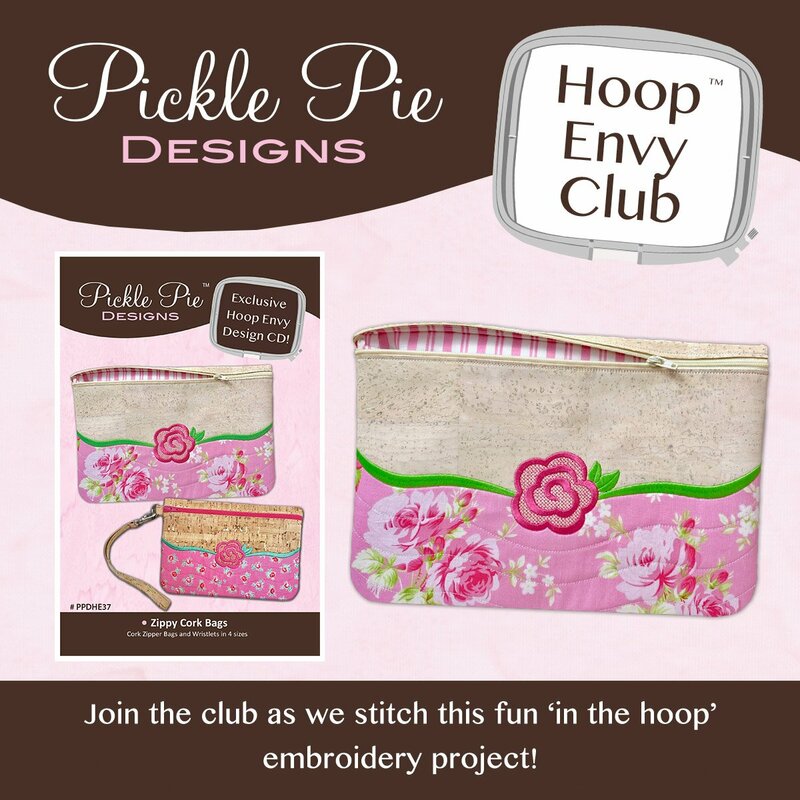 Pickle Pie April Cork Zippy notes: - This project can be made with cork, marine vinyl, oilcloth or fabric. If your medium does nor ravel – cut as directed. You may use fabric with batting for the back. If not using anything that does not ravel – cut the front top and front bottom – width as stated but twice the length so you can fold the piece in half and have the folded edges abutting the zipper. If unsure – do not cut and we will do so in class. - Bring some low loft batting if not using cork for the front and back. - Non fusible no show mesh is an appropriate stabilizer. - Even if making a larger size – bring a little extra material to make a tab.